Our Customer Service team is pleased to help you with all aspects of your online shopping. Please call us any time between 8.00am-5.00pm, Monday-Friday on 0208 783 9995. Thanks for visiting UK Electrical Supplies and enjoy viewing the Electrical products and accessories range featured in our online store. 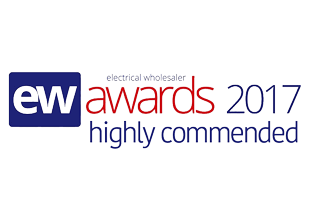 UK Electrical Supplies, the UK's number one electrical wholesalers online. We pride ourselves in being the best discount electrical wholesalers online offering a wide range of electrical products and accessories. We serve the UK to offer a massive range of electrical supplies including switches and sockets light bulbs, light fittings, cables, consumer units, circuit breakers and extractor fans. We sell over 40,000 electrical products from a range of leading electrical manufacturers including sockets and switches manufacturer Hamilton, Aico, Europa, Crompton lamps, Delonghi radiators, Hager, Timeguard, MK Electric and Univolt. You can be sure of receiving only quality electrical products when choosing to save money with UK Electrical Supplies. Our prices are guaranteed to be lower than trade prices and we operate safe and secure transactions when purchasing your electrical wholesale goods via our website. Being one of the Internet's leading electrical wholesalers, we are very keen to continue growing our product range. If there is a product on another wholesalers website, or one you're not able to find at UK Electrical Supplies and would like to place the order through us please get in touch. We love adding more product to our shop and would be happy to get the item in stock to fulfill your needs.